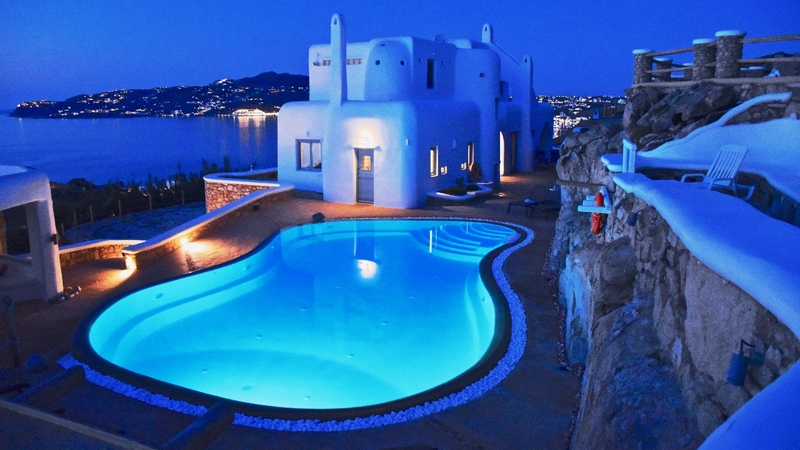 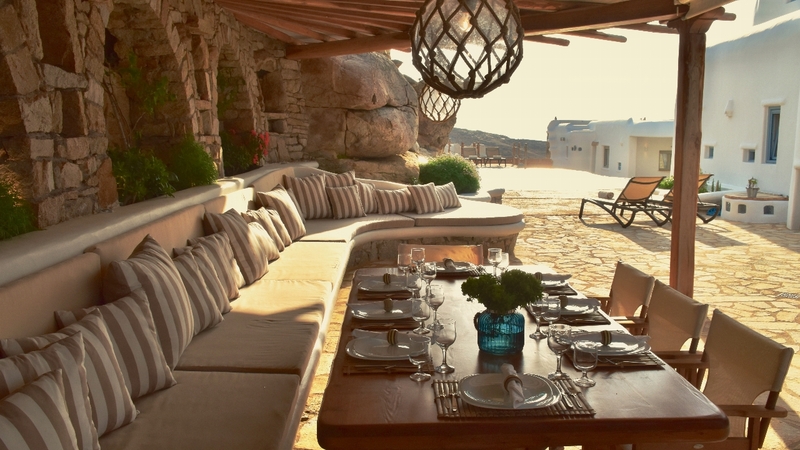 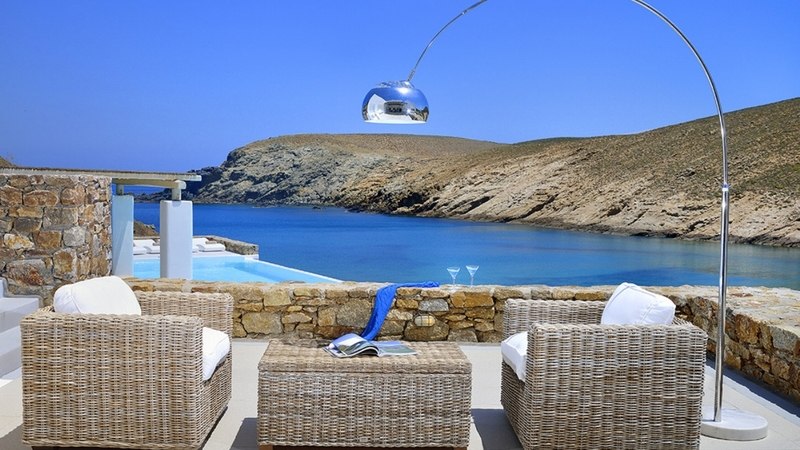 Villa Gran Kanalia is a luxury estate, ideally located in the Kanalia area, one of Mykonos most in-demand locations. 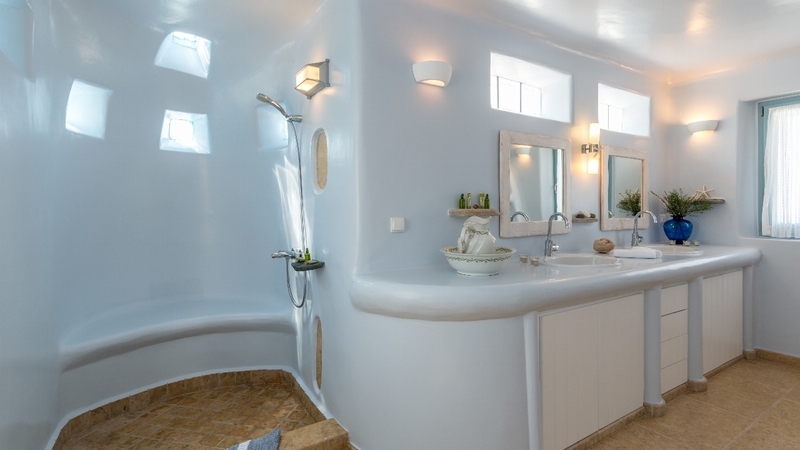 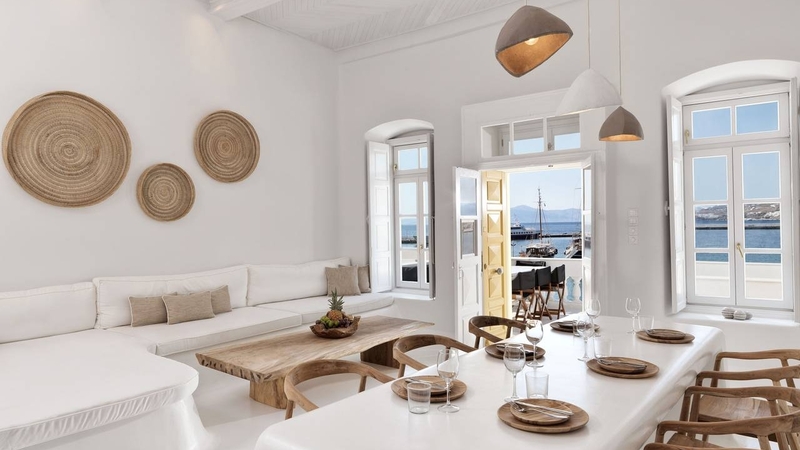 Bathed in the world famous Cycladic light and cooled by the Aegean breeze, it is one of the largest Villas in Mykonos (605m2), with an adjacent Guest House (60m2), built on a plot of over 4.000m2, and offers the ideal holiday destination for large families or groups of friends (from 10 to 14). 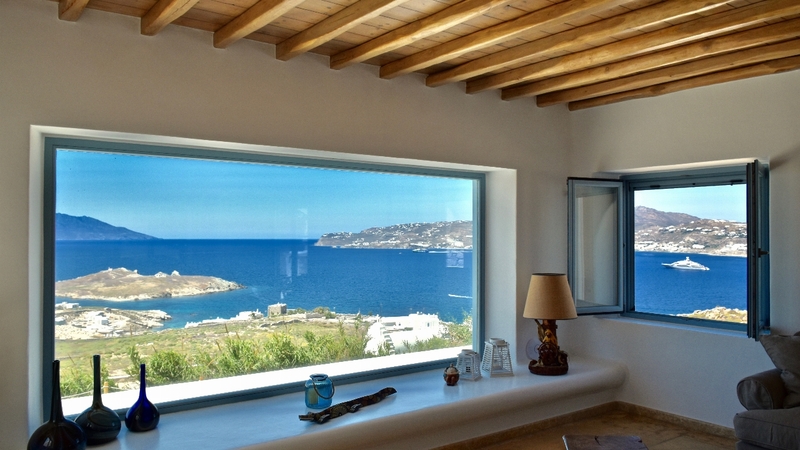 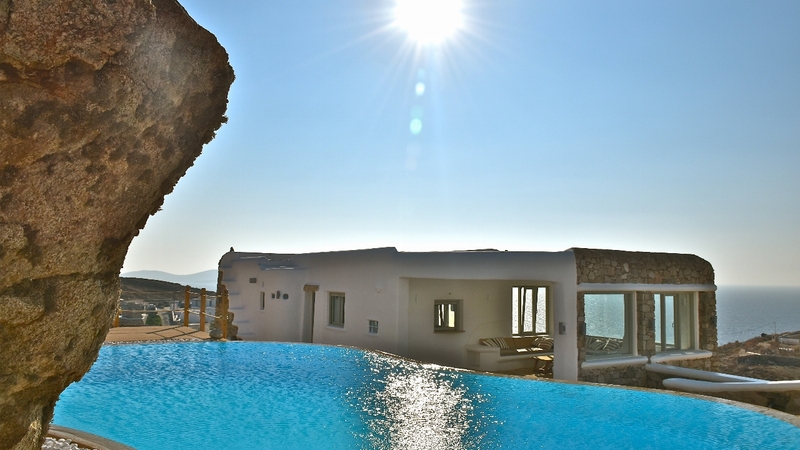 The main villa combines traditional Cycladic design, luxury and absolute privacy. 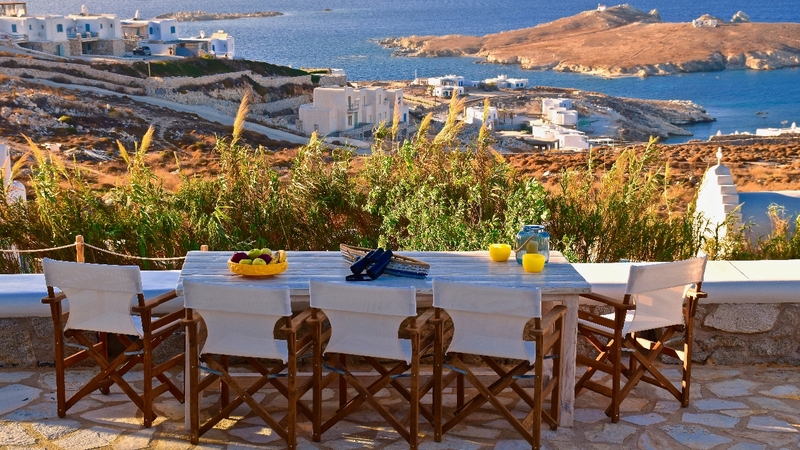 It is just a fifteen minute drive from Mykonos town and offers guests the ultimate Mediterranean experience, with a superb panoramic view of the Aegean Sea, Mykonos Town, the Old and New harbour and breathtaking sunsets. 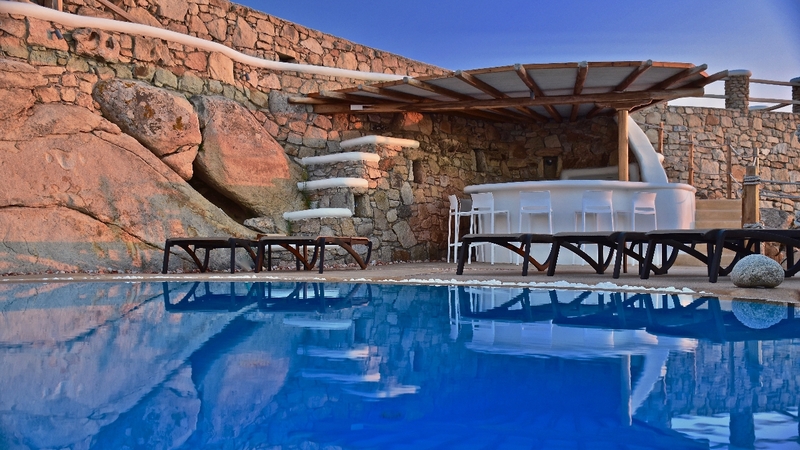 The villa provides the ultimate escape with cozy interiors and relaxed ambience, infinity swimming pool, surrounded by carved granite rocks, pool bar, large pergolas with wind shields and twelve terraces & lounges for relaxing and dining for up to twenty five guests. 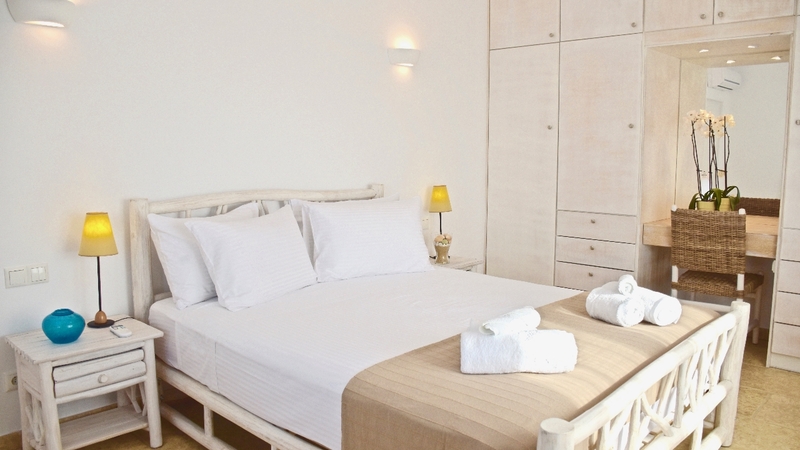 On the same estate there is also an independent guest house that can accommodate a family of 2+2, and a fully equipped studio for the staff. 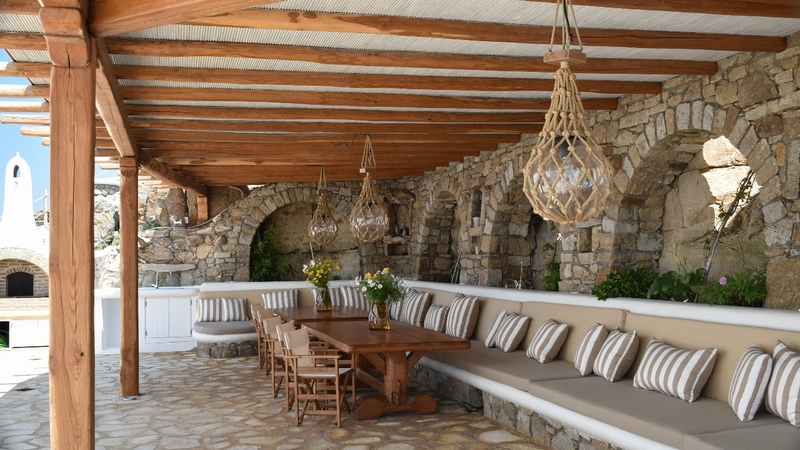 The exterior spaces where the fun takes place are endless! 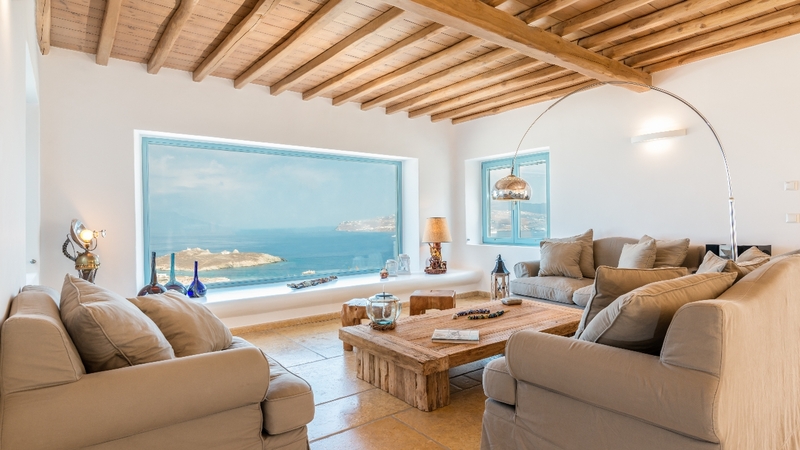 You will have ideal areas for entertainment, relaxing and enjoying your stay, with unique views and magnificent sunsets. 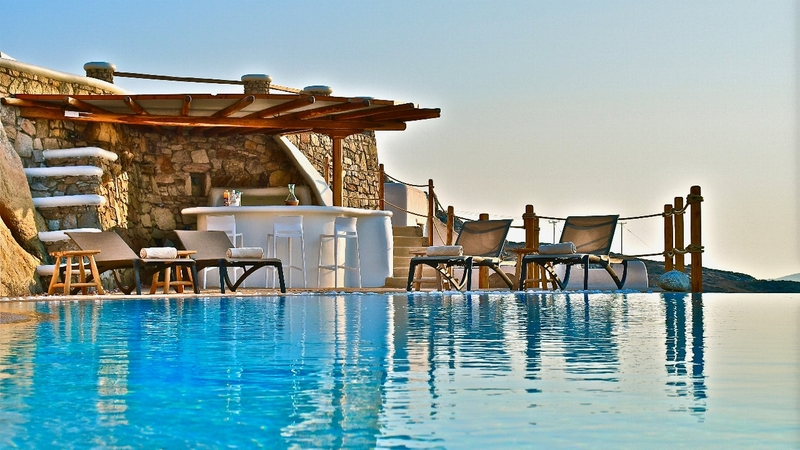 Whether you are sitting by the pool or having a full-on bbq, you will experience it with a unique view of the Aegean Sea and Mykonos Town! 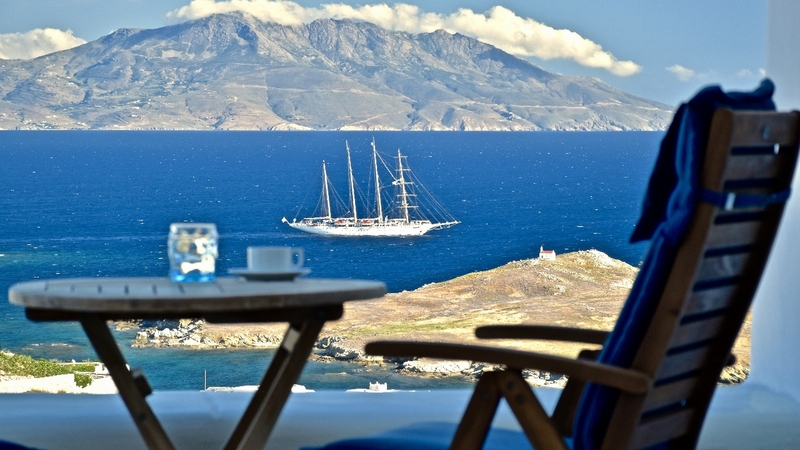 There are more than twelve different chill-out areas, ensuring that you will never get bored of being in the same alfresco spot, observing all cruisers, yachts & ships sailing in and out of Mykonos. 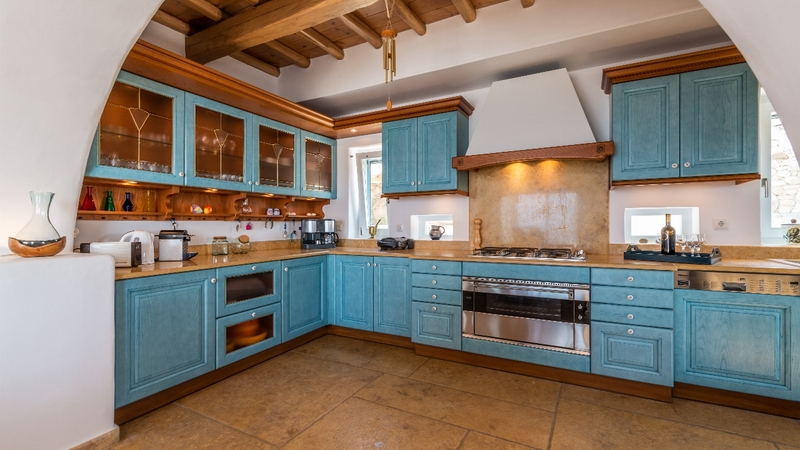 Please contact us with your details and we will advise our most competitive price. 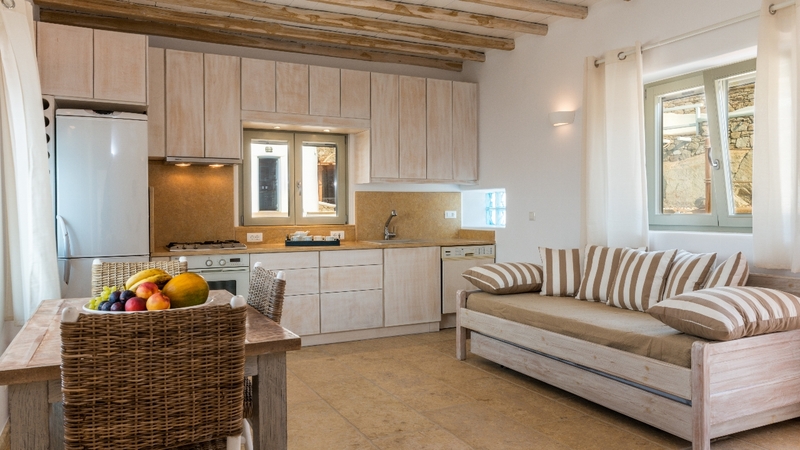 Rentals during June, July and August are for weekly periods. 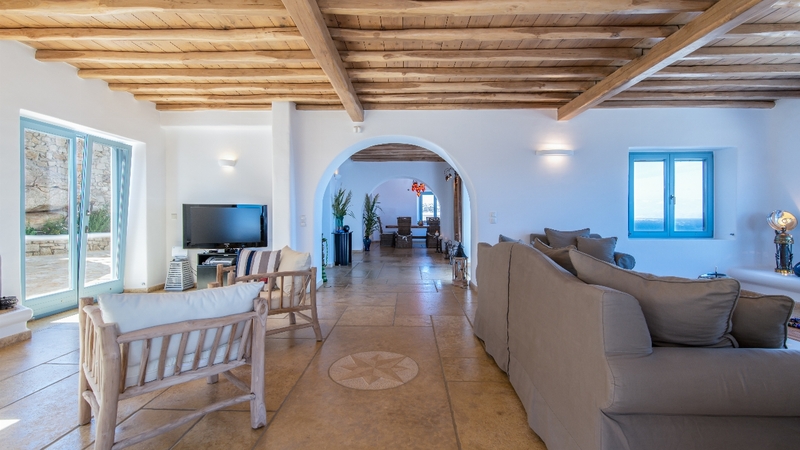 V.A.T @ 13% is included. 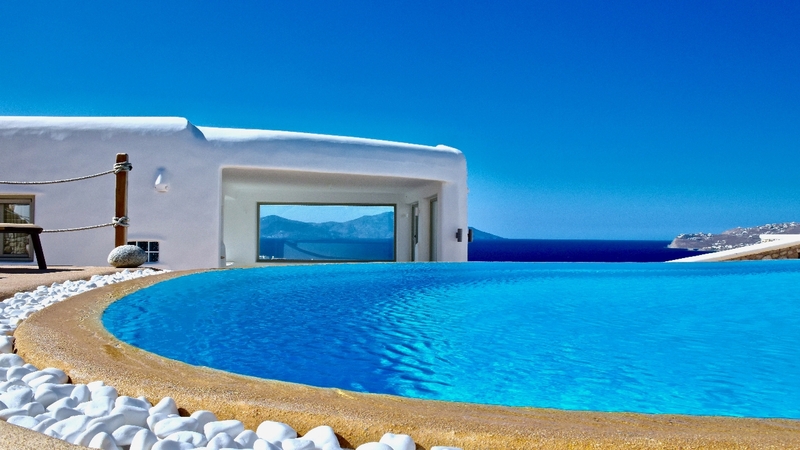 Prices for events & wedding receptions: Upon request. 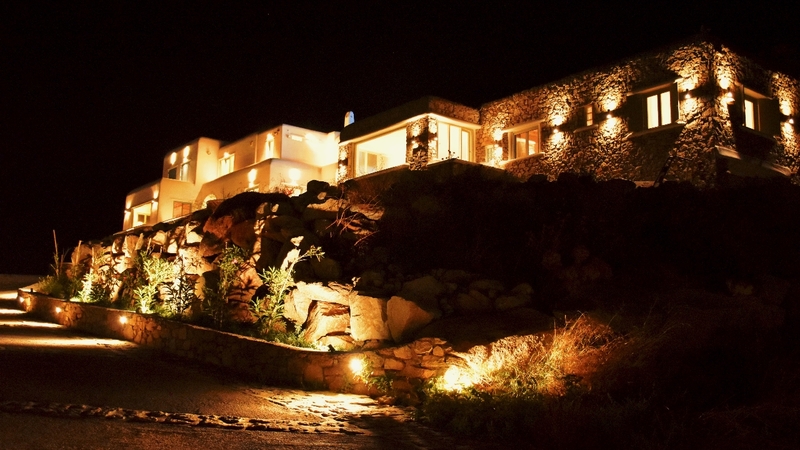 Prices for bookings shorter than one week: Upon request. 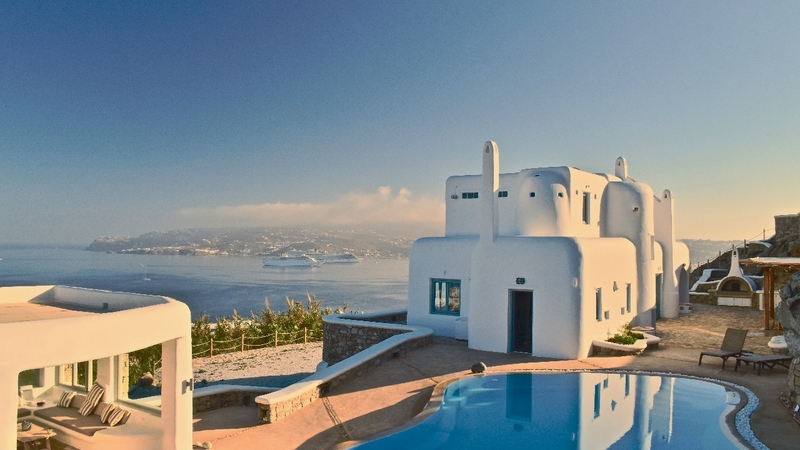 By Plane: Mykonos airport is a short drive away.